Tule Elk at sunset. 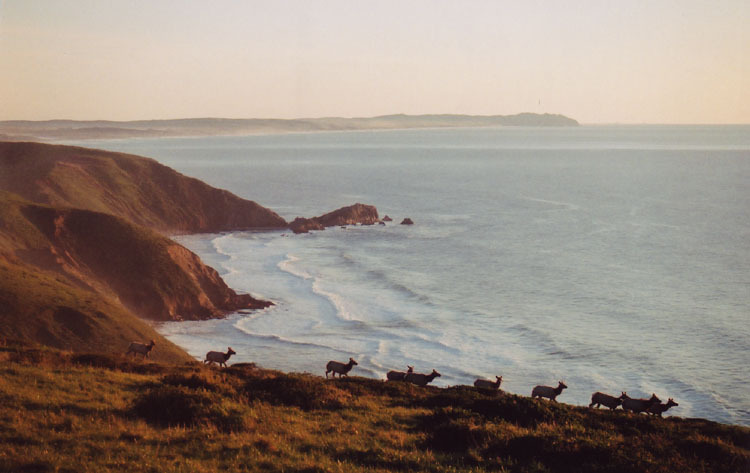 This herd of Tule Elk approached over a rise in the topography. Also note the interesting wave patterns - waves getting steeper as they come into shore.